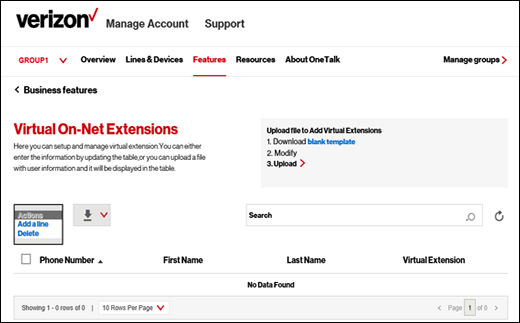 From the business features screen, click Virtual On-Net Extensions. Click the Actions dropdown then select Add a line. Enter the phone number, username and virtual extension then click Save. 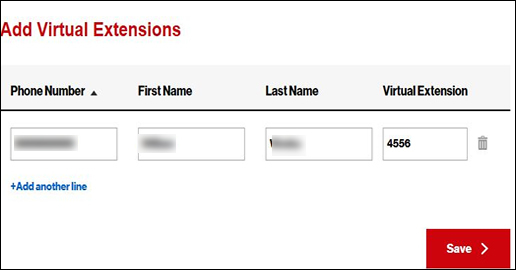 Virtual extensions can also be added in bulk using a template. Click the Add another line link to add more virtual extensions. 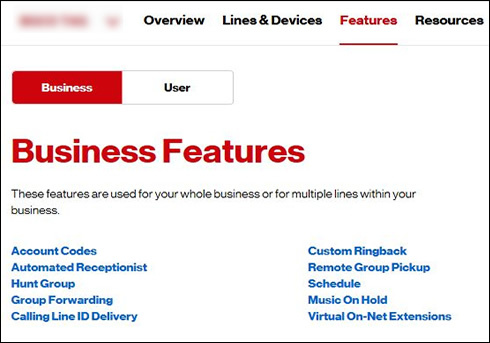 If the customer wants to port these lines into Verizon after they have been added to Virtual On Net, they will need to first remove the lines from Virtual On Net (see step above and choose delete). Then they can be ported into VZW.